This product is a pourable cement that develops strength greater than concrete; just add water. It expands as it hardens and sets in 10-30 minutes. 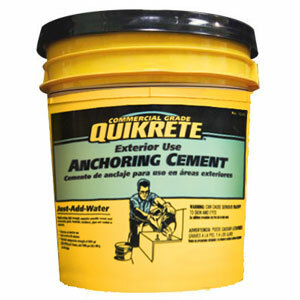 Ideal for setting bolts, handrails, or anything metal to be anchored in concrete. Good for both interior and exterior applications.